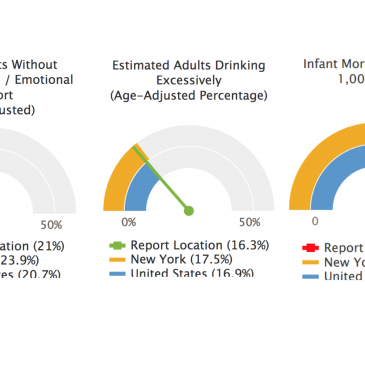 According to the National Highway Traffic Safety Administration, in 2017, an alcohol-impaired driving fatality occurred every 48 minutes, and 30% of all traffic fatalities in NY state involved alcohol. 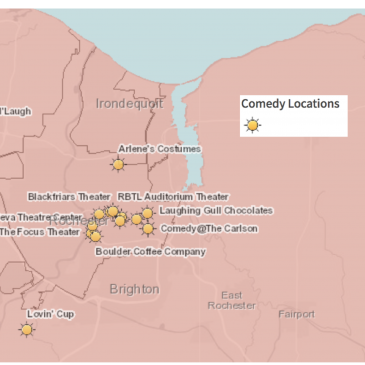 This month, RocHealthData highlights local laughter destinations: comedy and improv clubs, joke shops, locations sponsoring open-mic comedy, and laughter yoga sessions. 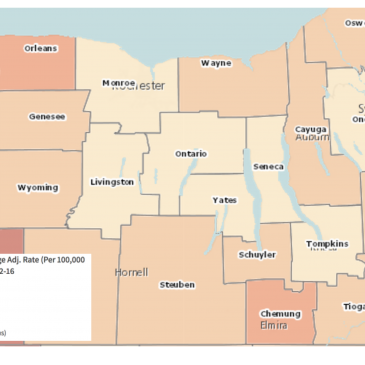 Data from the New York State Cancer Registry and from the Behavioral Risk Factor Surveillance System show higher incidence of colon cancer and correspondingly lower screening rates in Cattaraugus and Wyoming counties. According to the American Heart Association, cardiovascular disease affects nearly half of all Americans, and is the leading cause of death in the US. This map shows age-adjusted mortality rates for heart disease, by county, in our region. 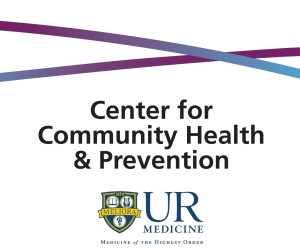 This month we highlight the variability in cervical cancer incidence and mortality across our region. 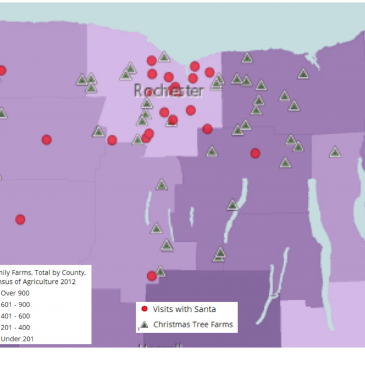 The maps show county-level data from the New York State Cancer Registry (2011-2015) for cervical and uterine cancers. 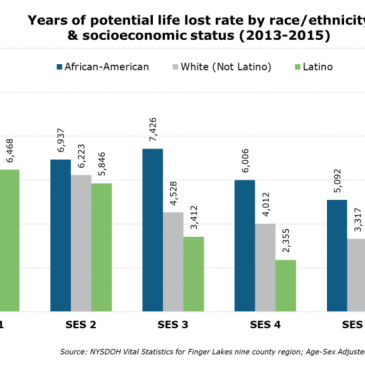 Note that the highest incidence-rate counties are not always the highest mortality-rate counties, and vice versa.